Today over at Kirkus, I’ve two new picture books about loss, seeking comfort, and being found. 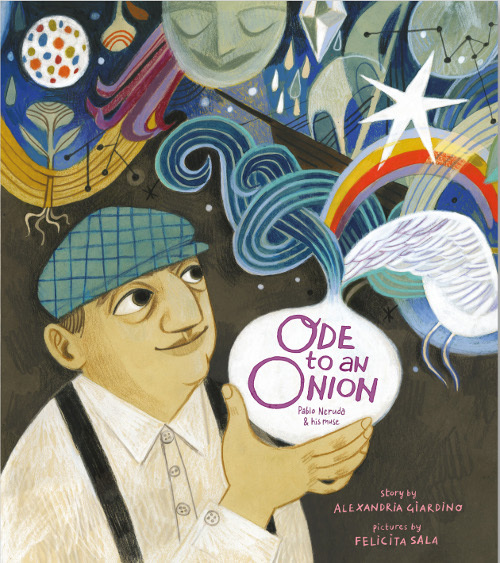 Last week, I wrote here about Alexandria Giardino’s Ode to an Onion: Pablo Neruda and his Muse (Cameron Kids, September 2018), illustrated by Felicita Sala. 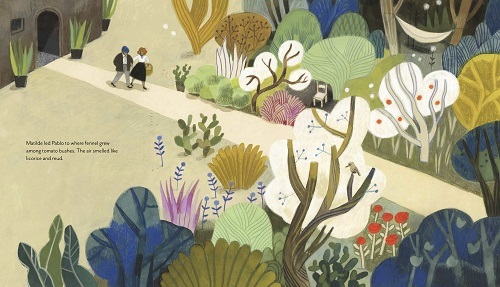 I’ve some spreads from the book here today. “Pablo was hard at work, writing a long, sad poem. 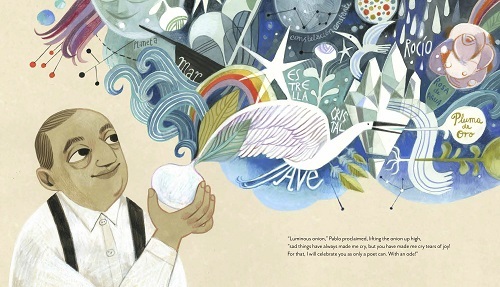 “Matilde led Pablo to where fennel grew among tomato bushes. 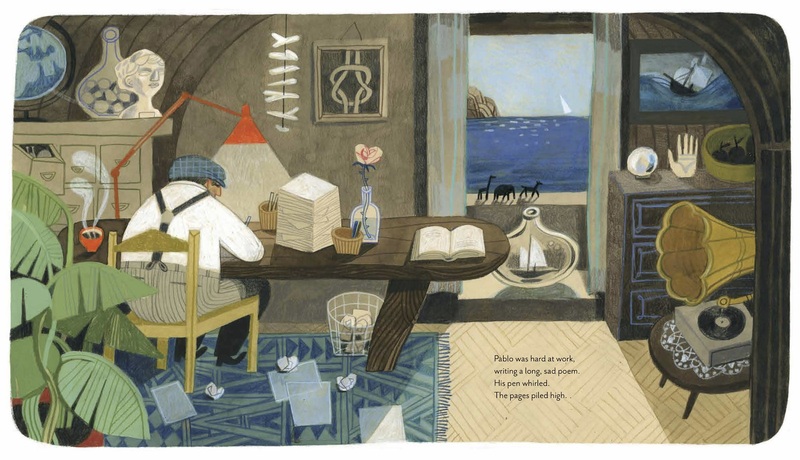 ‘sad things have always made me cry, but you have made me cry tears of joy! 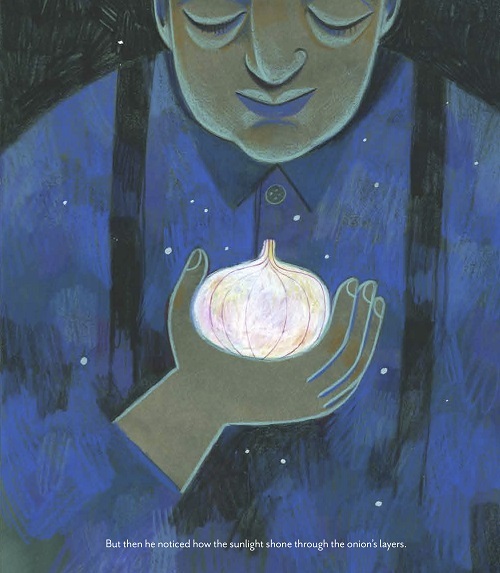 ODE TO AN ONION: PABLO NERUDA AND HIS MUSE. Text copyright © 2018 by Alexandria Giardino. Illustrations copyright © 2018 by Felicita Sala and reproduced by permission of the publisher, Cameron Kids, Petaluma, California.